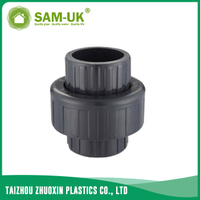 PVC female pipe elbow Schedule 80 ASTM D2467 from China Manufacturer - Taizhou Zhuoxin Plastics Co., Ltd.
We have many PVC pipe elbow products, the PVC female pipe elbow Schedule 80 ASTM D2467 can change the direction of water flow in a pipe. Smooth inner walls of PVC female pipe elbow can reduce pressure loss and increase flow speed. 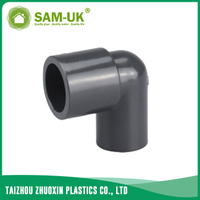 The PVC female pipe elbow Schedule 80 ASTM D2467 is especially designed for pipe systems. 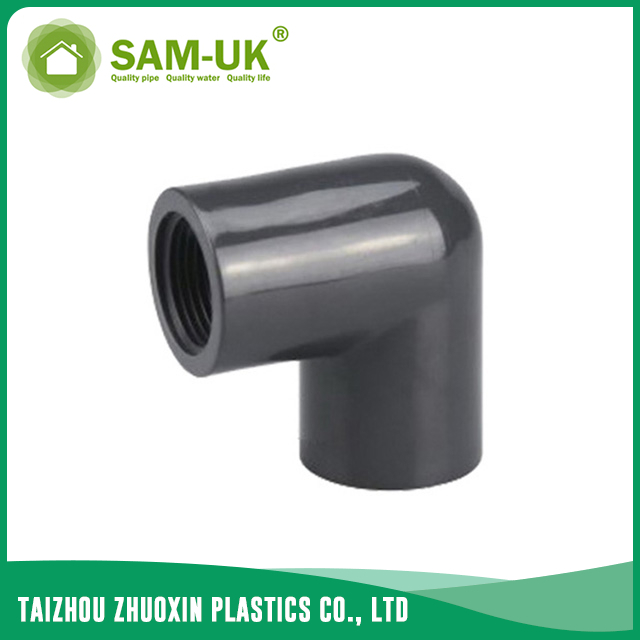 The PVC female pipe elbow is manufactured with most advanced technology. 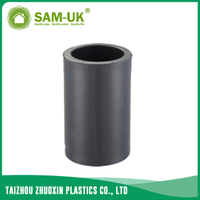 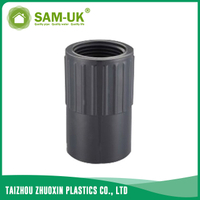 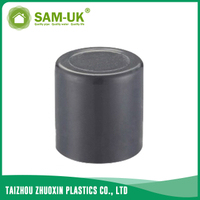 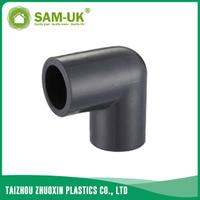 The color of PVC pipe elbow is black, so that the PVC pipe elbow can be used directly and does not look ugly. 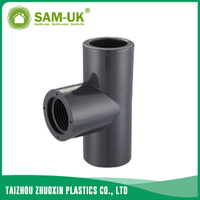 The PVC pipe elbow has good sound insulation, this feature allow you feel quiet even though the water flow is fast. 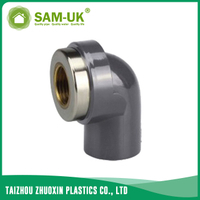 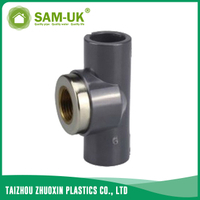 The PVC female elbow is joined by solvent cementing or threading, it can lightly connected to the pipe and will not leak. 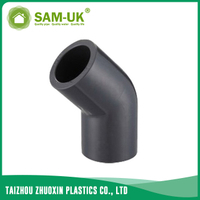 The service life of PVC female pipe elbow is long, at least 50 years. 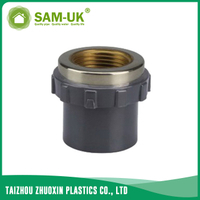 You can rest assured to buy it. 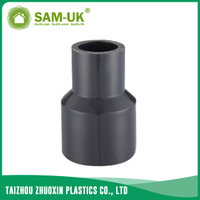 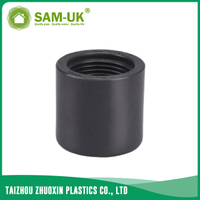 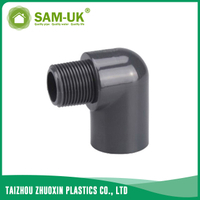 We also have other black pipe fittings, such as PVC equal tee black pipe fittings manufacturer Schedule 80 ASTM D2467, schedule 80 PVC 45 degree elbow ASTM D2467, PVC 90 degree elbow Schedule 80 ASTM D2467 and so on. 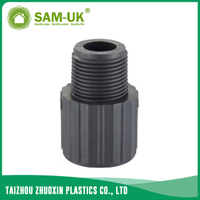 We will meet your needs and give you best service. 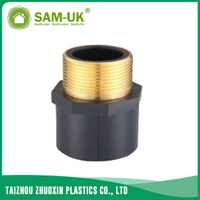 Just choose your real want.